The Cambridge Flooring Showroom is the residential flooring division of Contract Flooring Services (Cambridge) Ltd. Contract Flooring Services has been in business since 1996 providing high-quality commercial flooring to local businesses around Cambridge, the Home Counties and East Anglia. We are a local company, combining two generations worth of flooring retail experience, expertise and local business knowledge. Our commercial flooring branch has served a wide range of clients in and around Cambridge, including schools, hospitals, warehouses, office buildings, factories, universities and local government departments. 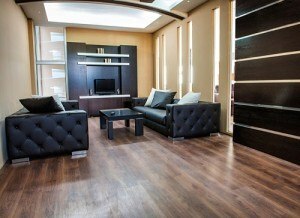 Our professional reputation as been built on the dependability and customer focus of our service, as well as the solid relationships we enjoy with reputable flooring suppliers. Following considerable public interest from private customers, we made the decision to move into domestic flooring, bringing to this new market the same high standards of customer care, personalised service and quality goods. Our newly furnished and fully fitted flooring showroom is set out to enhance your experience as a customer and showcase our world-class range of flooring manufacturers. Our samples include wooden flooring, custom luxury vinyl tiles, vinyl floors and carpets from household names such as Amtico, Karndean, Havwoods and Kahrs. We are also happy to provide you with a survey and fitting service in your own home, giving you professional advice about your different flooring options – and leaving you a no obligation quote for your consideration. 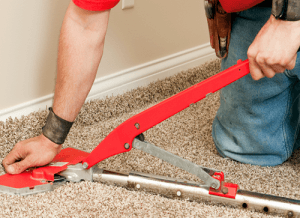 We aim to provide our customers with the best service and the best standards of residential flooring available in the area while keeping our prices fair and as affordable as possible. We employ a close-knit, highly experienced team of sales professionals and fitters, all with extensive experience within the flooring industry. We have always maintained a strong commitment to professional standards and health and safety within our sector. This is evidenced by our accreditation by some of the UK’s leading professional standards bodies, and our adherence to all the latest standards of flooring manufacture and design. 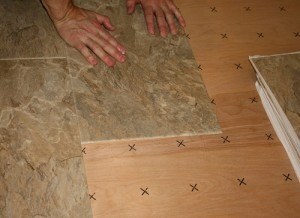 Are you looking for new flooring for a hallway, lounge, Home Office, bedroom, bathroom or kitchen? Come down to the Cambridge Flooring Showroom and see what options we have in stock for you. To organise a home visit from one of our flooring fitters, give us a call at the showroom today or fill out our enquiries form for more details.